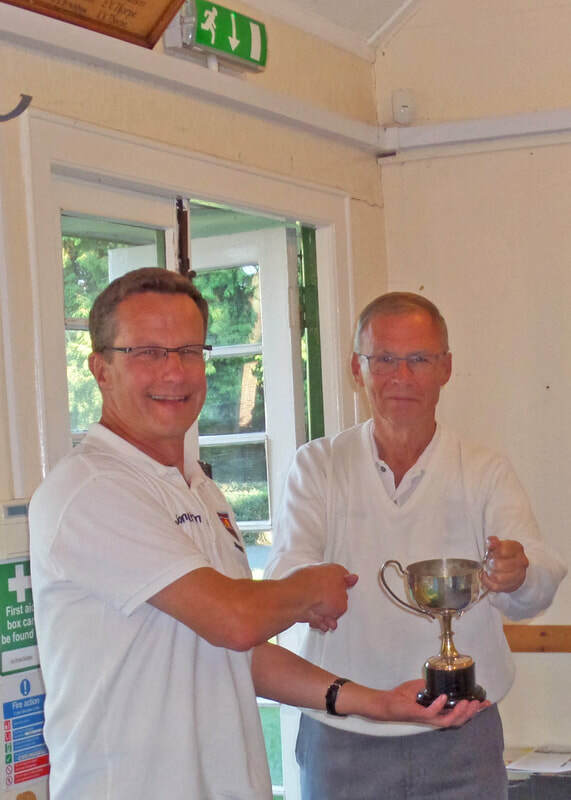 Jonathan Horner did not let a poor start in the Eddie Baxter Cup one-day tournament deter him from strolling to victory by the end of the 15-end event. After four ends of the event on September 26, Jonathan’s individual tally was: for one shot, against 6. After that, he did not drop a shot, and ended with a net plus 21, well ahead of Chris Caswell on plus 10, who pipped Maureen Elmes to the runner-up slot by two shots. The Eddie Baxter’s unusual format involved players changing partners for sets of four-wood pairs every three ends.